Pleasant Plain, Iowa Post Frame Buildings - Greiner Buildings Inc. Pleasant Plain, Iowa Pole Barn Building Company Greiner Buildings, Inc.
Are you looking for a pole barn construction company servicing Pleasant Plain, Iowa? Let Greiner Buildings Inc. be the first one you call. With over 25 years of experience in custom building in the Midwest, we are well known in the area for our fantastic reputation and quality buildings. Greiner Buildings services and builds post frame buildings in Jefferson County. For all of your Machine Shed, Lined and Insulated Shops, Hobby Garages, Commercial Buildings or Shomes in Batavia, Fairfield, Libertyville, Lockridge, Maharishi Vedic City, Packwood, or Pleasant Plain. Call for your FREE quote! Greiner Buildings offers Pleasant Plain and other cities in Jefferson County new building construction, 2D & 3D CAD design services, as well as General Contracting & Project Management. We are known in the Pleasant Plain, Iowa area for our quality customer service and high end buildings. Contact us today to get started with your free quote! Here at Greiner Buildings, we are known for our specialty product, the SHOME®. As a combination of hobby shop and home, the SHOME® is the perfect solution for modern day country living. Residents in Pleasant Plain, Iowa are choosing to build a custom SHOME® to provide a convenient transition from work to home, and to experience a modern design that is unlike any other! Click here to learn more about the SHOME®. 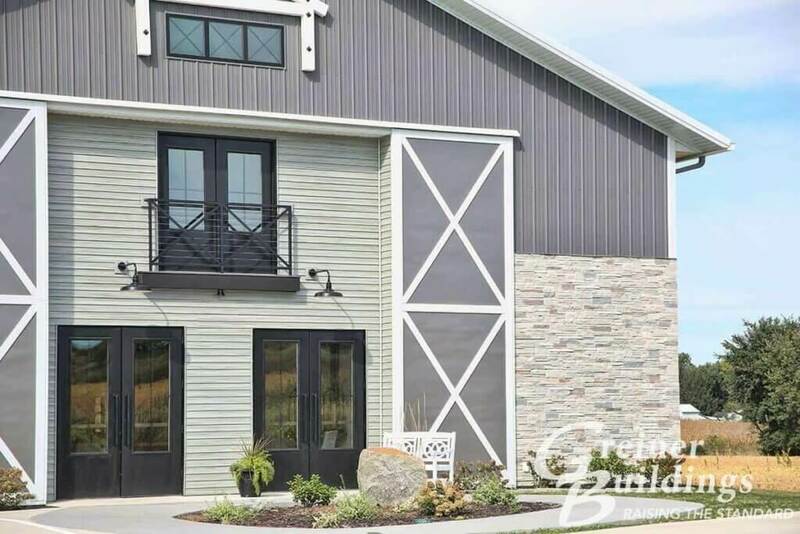 For all of your custom post frame pole barn building or contracting needs in Pleasant Plain, IA, Greiner Buildings can provide you with a detailed quote that suits your specific needs and budget. Our professional team will work with you start to finish as we provide turn-key services for your custom building.